Craigview is a large detached property located in the grounds of a magnificent 18th century country house, Gartmore House. 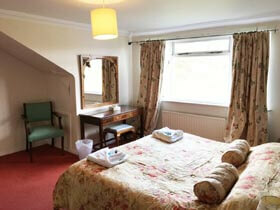 It is situated in the middle of the Loch Lomond National Park and offers a whole host of activities from your doorstep. Cycling, fishing and walking are very well catered for with tracks for beginners and the more experienced alike within the estate and further afield into the Trossachs. If you wish, you can arrange fishing on the edge of the estate, a five minute walk, allowing you to fish for salmon and brown trout. There is a village pub in Gartmore, and a larger selection of shops, cafes and restaurants in Aberfoyle. For golfers, there is a golf course at Aberfoyle, and horse-riding is also catered for within a mile of the house. In the wider area you can visit historic Stirling to see the Wallace Monument or Stirling Castle, arguably on a par with Edinburgh Castle. Glasgow and its fabulous architecture and world-renowned shopping is only 45 minutes away. Otherwise you could take a leisurely trip to Loch Lomond or Loch Katrine and enjoy a day's watersports, or walk or cycle around the lochs, or take the paddle-steamer tour. The Loch Lomond and Trossachs National Park is full of bird and wildlife and a great place to view them is The Lodge Forest Visitor Centre, just outside Aberfoyle. There is a red squirrel hide in the woods and live CCTV in the Visitors Centre where you might see ospreys, woodpeckers and water voles too. The Great Trossachs Forest nature reserve has golden eagles, black grouse and otters. The Lake of Menteith is a great place to see wetland birds and the short ferry ride over to the island to explore Inchmahome Priory is well worth a trip. The ruined priory is very evocative and much of the 13th century building remains - King Robert the Bruce visited the priory on several occasions and Mary Queen of Scots was given sanctuary there after the Battle of Pinkie so it has many historical connections. It's a lovely place for a picnic too. The area is also well known for its fabulous restaurants, with a number of high quality pubs serving excellent food in the surrounding villages as well as Nick Nairn's famous cookery school about 10 minutes form Craigview at Port of Menteith. Nearby Go Ape is a very popular with all ages - zip wire thrills in the trees! 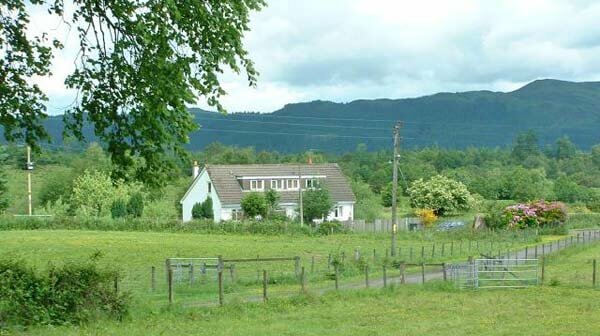 There is a massive amount to do around Aberfoyle and this superb large holiday house appeals to all ages. 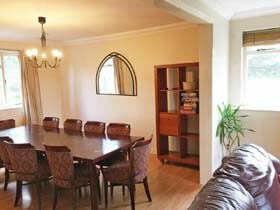 Craigview is a tastefully decorated and well equipped house sleeping up to 11 in comfort. Downstairs, there is a spacious and modern kitchen, a porch and utility area, a large dining area with table and chairs, and a cosy sitting-room with leather sofas and an open fire. 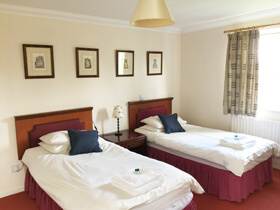 There is one double room with ensuite bath and separate shower room, and also a twin bedroom on the ground floor - ideal for less mobile guests. 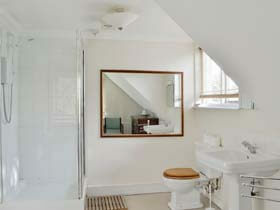 Upstairs there is the second ensuite double room, one ensuite twin room, another twin room and a single bedded room with a bathroom opposite. From the south / Glasgow, take the A81 for the city centre and travel via Milngavie and Strathblane towards Aberfoyle. Continue past the signs for Gartmore village and Gartmore House is well sign-posted on the left. From the north / Perth, or east / Edinburgh, travel towards Stirling on the M9 and leave at Junction 10 (marked Stirling). Follow the A84 towards Callander. After 4 miles (just beyond the Blair Drummond safari park) take the A873 for Aberfoyle. After 17 miles, at the T-junction (opposite the Rob Roy Motel) turn left on the A81 towards Glasgow. In less than a mile, pass the sign for Gartmore village and you will see Gartmore House clearly indicated on the right. 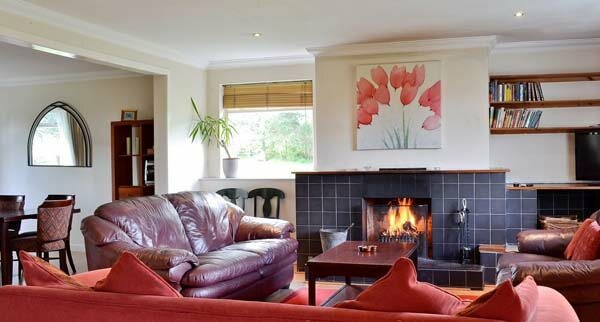 Craigview holiday house is rented out year round. Short breaks by arrangement - min 2 nights. 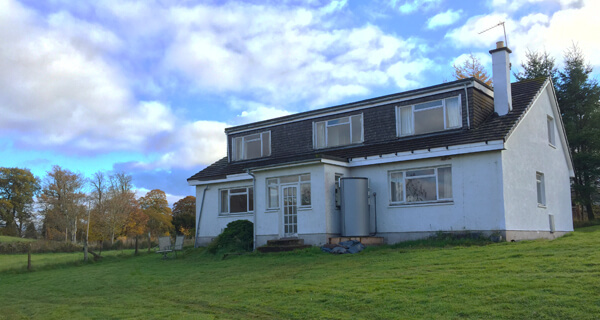 To enquire about this large Trossachs house click the button below and see prices and availability. 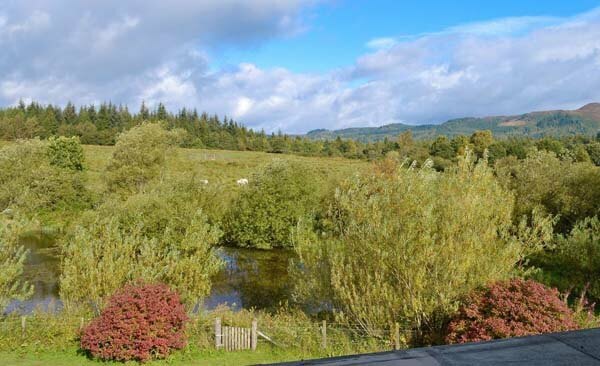 This large self-catering house is situated in the Loch Lomond and Trossachs National Park and surrounded by beautiful countryside. There is lots to do in the area and Glasgow and Edinburgh are easily reached for day trips.